A favorite spinach stir fry prepared with just a handful of ingredients to bring out a delicious amalgamation of flavors. A mildly spiced dish with garlicky overtones. Goes well with rotis and rice. Check out another version of Spinach stir fry that I blogged a year ago. 1 Chop the blanched spinach and keep aside. 2 Heat olive oil, add the cumin seeds and once they splutter, add the garlic flakes and curry leaves and saute for few secs. 3 Add the onions and saute till transparent, approx 4-5 mts. Add the ginger garlic paste and saute for 4 mts. Add salt, turmeric pwd, roasted methi pwd, coriander pwd, cumin pwd and red chilli pwd and combine well. 4 Add the chopped spinach leaves and saute for 8-10 mts. Turn off heat. Serve hot with rice. Note: Use the left over blanched spinach water to prepare roti dough. Kosambari is a salad like dish. Carrot kosambari is prepared with freshly grated carrots and coconut. Soaked moong dal is also added to the salad. The tossed salad is tempered with mustard seeds and green chiles. Carrot koshimbir is served fresh as a salad. Makes: around 2 1/2 Cups of Carrot Koshimbir. Grate them on thicker side of the grater. In a mixing bowl, mix together grated carrots, soaked moong dal, grated coconut, cilantro, lemon juice, salt and sugar. Heat oil in a small pan, add mustard seeds and slightly close the lid to let them crackle. Then add green chiles and remove from heat and let it cool a little. Serve carrot koshumbir as a snack or salad or as a accompaniment to main course. Notes: Make sure to serve carrot kosambir fresh. 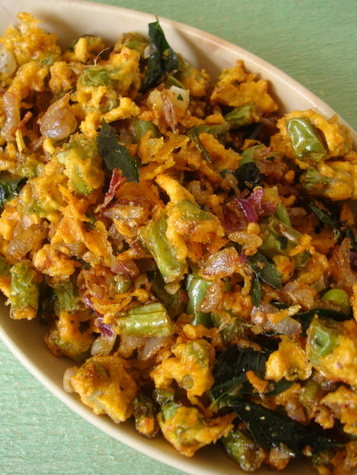 Suggestions: Add more green chiles or finely chop the green chiles to spice up the kosambari. Yellow mustard seeds are used for a milder effect. Use brown or black if you wish. Variations: Coconut oil can be used for tempering. Little plain yogurt can also be added. cumin seeds can also be used. Other Names:Carrot Koshumbir, Carrot Koshimbir, Carrot Kosimbir, carrot kosambari, Carrot Kosumbir, carrot koshambari. Not the never ending guests we had this month, not the diet I was on, not the painting deadline that was inching so close. And I'm so happy I did try this lovely dessert that lives up to its name. It was delicious. Really! I usually distribute everything I made to near and dear and not so dears..but this one we polished off on our own! I mean actually licked the plates clean!!! !It was excellent!! I made the dessert over a period of 1 week...made the Savoiardi(Ladyfinger Biscuits) first, then the mascarpone cheese(I can NEVER thank you enough Deeba) and then yummy sauces. Workings quickly, dip 12 of the ladyfingers in the sweetened espresso, about 1 second per side. They should be moist but not soggy. Immediately transfer each ladyfinger to the platter, placing them side by side in a single row. You may break a lady finger into two, if necessary, to ensure the base of your dish is completely covered. Me to Desi: "So what would you like for dinner tonight?" Me: How about something light, like an upma? Me: It's too late for dosas, but what about some sambar and rice and bhaji, although you just had that yesterday. Me (hopefully): Potato chips and cookies? Me: Okay baba, I'll just come up with something on my own, but don't complain later. Desi: I can't promise that! As you can tell, I don't get much help in picking out what to cook from my picky eater. And left to my own devices, I tend to think up recipes as I peer into the vegetable bin in my refrigerator at what's still there and not yet growing something. This week, with barely an hour to put dinner together, I pulled out an uninspiring half a head of cabbage (left over after making this paruppu usili) that I knew I had to use up fast. Then I peered into my bean and lentil pantry. Voila, a jar of whole masoor that I hadn't touched in a while!Desi: Fine. (Translation: No)Me: "No, really, tell me. Would you like something quick, like an upma?" I love masoor which is a really pretty-to-look-at and rich-flavored lentil that does extraordinarily well when teamed with vegetables and spices. So Cabbage Masoor Curry it was for dinner.And what a great idea that was! I saved a lot of time by cooking up the masoor in a pressure cooker along with the cabbage and a few spices. The cabbage cooked up into buttery-soft goodness, and all I had to do was saute some onions and the sambar powder and add it to the dal. So here's the recipe, and here's looking forward to the two best days of the week: Saturday and Sunday! Place all the ingredients other than the sambar powder , onions and canola oil in a pressure cooker and cook until really tender. If you don't have a pressure cooker, place the ingredients in a large pot, cover with water, bring to a boil, turn the heat so the mixture just simmers, and cook until the lentils are really tender (this may take almost an hour). Add the sambar powder and stir it to mix, about 1 minute. Add the onions and sambar powder to the cooked masoor and cabbage. If anyone ask me wat u want to drink my choice always goes to sweet lassi, just love them..Those refreshing drinks are really healthy and prefect drink when its too hot, needless to say that lassi is drink prepared basically with yogurt either with salt and herbs or with fruits and sugar, its our desi style of smoothie, yesterday i prepared this simple desi smoothis with few pineapple chunks and honey which tastes delicious together and we enjoyed having...Easy pineapple smoothie goes directly to PJ's No Cook Event..
Blanch the moong sprouts in plenty of boiling water with a pinch of salt for about three to four minutes. Drain. Heat oil in a pan. Add asafoetida and onion and sauté for two minutes. Add ginger and green chillies and continue to sauté for another minute. Add tomato and sauté for two to three minutes. Add the sprouts, salt and dry mango powder and stir. Cook on medium heat for two to three minutes. Garnish with coriander leaves and serve. Chef’s tip: This is a dry dish. Take care that the moong grains remain separate. Mooli paratha is a well known paratha made by stuffing wheat dough with grated daikon. White radish is grated and mixed with spices and herbs. A dough is prepared with just the wheat flour. The grated radish is stuffed into wheat dough and rolled into thick parathas. The mooli paratha is cooked on flat pan until its golden brown in color. Makes: around 3 Servings of Mooli Paratha. Peel, remove ends and grate the white radish. Apply half a tsp of salt to the grated radish and leave aside for 15 – 20 minutes. Squeeze off the water from the radish and reserve the water. Alternatively, just use the freshly grated white radish. Knead wheat flour into somewhat tight dough with few pinches of salt, reserved mooli water and enough fresh water. In a mixing bowl, mix together grated radish, red chile powder or green chiles, ajwain, cilantro and salt. Take a tbsp of the white radish mixture and place it on the disk. Now bring together the edges and press it to form a ball. Carefully knead each dough ball into 5 – 7 inch diameter disc with help of a rolling pin. When both sides are cooked properly, remove radish paratha onto a plate. Repeat the same with remaining rolled out paratas. 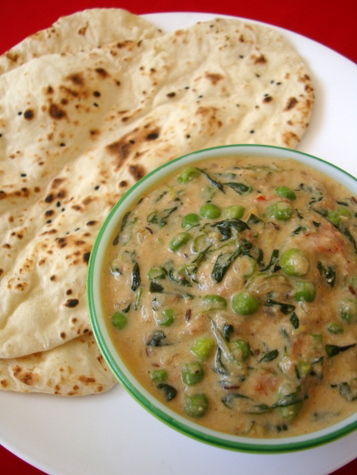 Serve hot mooli paratha with raita of your choice. Notes: You can make even thicker parathas if you wish. Suggestions: If the paratha is not cooked properly, put them back on the flat pan and cook till its done. If the stuffing tends to come out while rolling the dough, apply a thin layer of wheat dough to patch it. Or make sure to stuff just enough stuffing. Variations: You can also add your choice of spices to the grated white radish if you wish. Like, garam masala, amchur powder, chopped onion etc.. You can also mix the grated radish mixture along with the wheat flour instead of stuffing it. Other Names: Mooli Paratha, Daikon Parata, White Radish Flat Bread. Today's recipe is for Siri. Not one but for two Siris. One is my sister and the other one being Siri of Siri's Corner. She is guest hosting Indira's Jihva this month and the theme ingredient is Fennel Seeds. A couple of years ago, we had a subzi with rotis at the local Swami Narayan Temple, which they were selling under the name of some shaak. Shaak is the Gujarati name for the subzi / curry. It had cluster beans, yams and some other unrecognizable veggies with oodles of sugar added. Though sweeter to my taste, the assortment of vegetables in some unfamiliar gravy had an appealing flavor. It was quite different from the subzis I had eaten earlier. I attempted to recreate that subzi a few days later at home since I happened to like it. Though I didn’t know what went into it, my taste buds gave a vague idea about the spices that may have created the magic. I played a little with the spices in my pantry and created this subzi. It turned out quite well and though not exact, but almost tasted similar to the temple dish. Though many spices are used, fennel seeds stand out with the aroma and flavor they impart to this dish. This is only an inspired dish from the temple kitchen and not the original one. I therefore have taken the liberty of a cook and have used my choice of veggies and spices. Hope you would give a try. Heat oil in a kadai or deep-based sauté pan. Add the cumin seeds and when they start to sizzle, add the onions and turmeric powder. Cook on slow flame, stirring in between till onion turns translucent. Then add the tomatoes and cook for a couple of minutes, stirring. Add all the vegetables and add sufficient water so that all the vegetables are covered in water. Cook on high flame till the vegetables are done. Keep an eye and add extra water, if needed. Vegetables must be tender but still hold their shape. Mean while; grind all the ingredients mentioned in the list adding a little water. Add the paste and salt. If the subzi seems dry, a little water can be added at this point. Let the vegetables simmer for about 5 minutes on slow flame so that all the flavors mingle. Quinoa is the South American (originated in Peru) grain which has entered and stayed in my kitchen for quite a while now. It doesn't have any distinct taste of its own. As a result, it can be tweaked into any recipe without giving too much contrast. Besides it has a great texture. I am on a mission to try out Quinoa in all Indian fried rice/pulaos recipes. Now, I found this recipe Elumichham Pazham Saadham in my pressure cooker recipe book. By using the method of elimination (remember that analytical section of GRE, anyone? ;-), I replaced "saadham" by quinoa. I meant to say Lime Quinoa. Did I do ok? 1. Cook quinoa in double amount of water. Set aside to cool down completely. 2. Heat oil in a saucepan. Add all the ingredients for tempering. Saute till urad daal turns golden and peanuts appear crispy. 3. Switch gas to lowest. Add salt and lime juice. Quickly stir in the cooked and cooled quinoa. 1. You can increase or decrease the amount of lime juice depending on the desired tartness. Another of Amma’s speciality dishes. Similar to Crispy Dondakaya (Ivy Gourd/Tindora), that was appreciated by many of you dear readers, but with a slight variation. Makes for a very good side with rice and rasam or sambar. 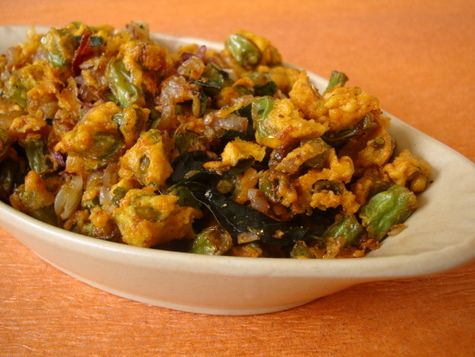 The beans pakodi are delicious on their own, but when tossed in the curry leaves infused seasoning, intensifies the flavor making it addictive. I added a dash of coriander powder towards the end for extra oomph. Wash french beans, nip the ends. Slice them into 1/2″ pieces. Heat oil for deep frying in a heavy bottomed vessel. As the oil is heating, get the coating ready. In a vessel, add chopped french beans, corn flour, besan, salt, ginger garlic paste and chilli pwd. Sprinkle little water and combine well such that french beans are just coated, lightly. Very little water is required. Once the oil is hot, reduce heat to medium high flame, slowly drop the batter coated french beans into the oil and deep fry to a golden shade. Remove onto absorbent paper. Heat a vessel, drizzle some oil, add ginger and garlic and saute for a half a mt. Add the green chillis and curry leaves and fry for few secs till the aroma emanates the kitchen. Add the chopped onions and saute on high for 3-4 mts. Add chilli pwd and combine well. Add the crispy french beans and stir fry on high for a mt. Add coriander pwd and toss. Serve hot as a snack or a vepudu with rice and rasam/sambar. Poppy seeds powder is a spice powder usually accompanied with steamed rice or with idly, dosa etc. It is prepared by first dry roasting the poppy seeds until light golden color. Then, grind them with other roasted ingredients and spices for a fine poppy seeds powder. Makes: around 3/4 Cup of Poppy Seeds Powder. Heat a pan on medium heat, separately roast poppy seeds, sesame seeds and urad dal till light golden color. Heat oil in a pan on medium heat, add whole red chiles. Fry red chiles for couple of seconds until aromatic and just crisp. First grind poppy seeds and sesame seeds into fine powder using a spice grinder. Then add all the other ingredients and grind into fine powder along with salt. Store poppy seeds powder tight in a jar and serve with steamed rice and dollop of ghee or with idly etc. Suggestions: If the poppy seeds powder is not spicy enough, add some red chile powder. Variations: You can also add a tsp of coriander powder for heat. Other Names: Poppy Seeds Powder, Gasagasala Podi, Khus Khus Powder. 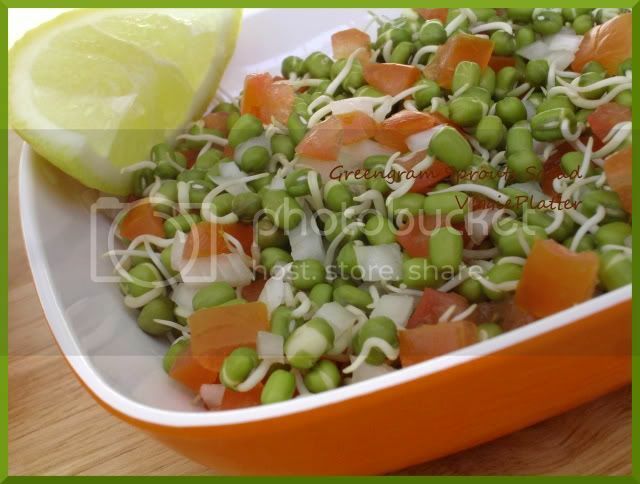 Here is a simple salad which can be be part of a meal or can be eaten as a snack. I have given the measurements just as a guideline and they can be altered according to one's need. Finely chop the onion and tomato and add them to the sprouts. 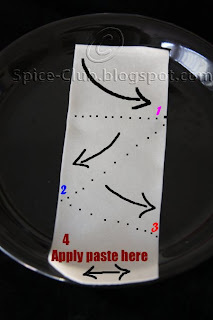 Sprinkle salt and chat masala / the spice of your choice. Squeeze the lemon juice. Mix well and serve. Chat masala and garam masala, the warming spice mix from Northern India are sold in Indian grocery shops. Honestly speaking, I was all set to make this masoor palak. But at the last minute I realized that I was out of spinach. I mean I didn't even have any frozen spinach in the freezer. But instead, I had a fresh bunch of watercress. Voila! A wonderful new dish was created. Watercress has a spicy flavor that goes very well with the malvani bhazka masala (roasted masala) and masoor. 2. Heat oil in a cast iron or iron pan. Roast onion and garlic till they are brown but not burnt. Take out and set aside. Add coconut and fry till it is brown. Grind all the roasted ingredients along with 2 tbsp cooked masoor and malvani masala. 3. Heat oil for tempering in a saucepan. Add onion, asafoetida and turmeric powder. Saute till onion is soft. Add chopped watercress. Saute till the watercress is wilted. 4. Now lightly mash the masoor. Add it to the watercress mixture. Also add the ground masala. 5. Add water to adjust the consistency of the curry. Add salt. Bring to boil. 6. Switch the gas to low. Let it simmer for 5 minutes. Cover. 7. Serve with chapati, bhakri or rice. 1. If you do not have malvani masala, use 1/2 tsp garam masala and 1/2 tsp chili powder. Adjust the chili powder depending on the desired heat. 1. Grind boiled spinach to make a coarse paste. 2. Roast and grind onion and coconut and keep aside. 3. Heat oil in a saucepan. Stir in onion and saute till soft. 4. Now add sprouts, spinach, salt, jaggery, turmeric powder, chili powder and garam/kitchen king/malvani masala. 5. Add ground masala & 1 1/2 cups water. Bring to boil. 6. Simmer for 10 minutes. Adjust the gravy according to the required consistency. 1. Keep spinach paste coarse. Do not make a fine paste. The influence of the Mughal rulers who ruled India is perhaps most felt in their food. A major contribution towards this is the tandoor which is an earthen oven, used to make rotis and kababs, which are pieces of meat marinated in spices and skewered over a coal tandoor. Some of the famous Mughlai dishes include tandoori chicken, seekh and boti kabab and even tandoori fish. Mughlai cuisine is one of the most popular cuisines, whose origin can be traced back to the times of Mughal Empire. Mughlai cuisine consists of the dishes that were prepared in the kitchens of the royal Mughal Emperors. Indian cuisine is predominantly influenced by the cooking style practiced during the Mughal era. Mughlai food is quite spicy and has a very unique aroma. On eating Mughlai food, one can get a feel of the ground spices. The spices used in the preparation of Mughlai food are easily accessible. Mughlai food is especially preferred in Northern parts of the country. Some of the Mughlai dishes have Muslim names such as biryani, pulao, kebabs, kofta. This is suggestive of the strong influence of Muslim cooking style. The Mughals have truly left a long lasting influence on India, which is also reflected in the cuisine of India. Mughlai food occupies a commanding position in the popular cuisines of India. The rich preparation of Mughlai food consisting of flavored sauces and butter based curries is so tempting that food lovers are bound to crave for more and more food. Mughlai food offers an amazingly delicious variety of food ranging from hot spicy shorba or soup to ginger based roasted meats to kulfi with rose petals sprinkled on it. Even, the names of the Mughlai food are so attractive that a person gets tempted to try out different dishes. Though, Mughlai food is cooked in all parts of the country, but the best feel of this cuisine can be had only in Delhi, which specializes in the preparation of this royal cuisine. In the 16th century, India was invaded by Mughals, who introduced the exotic spices, nuts and fruits to India. Also, the Indians got an opportunity to learn new techniques of cooking. In the preparation of most of the Mughlai dishes, milk and cream is used liberally. Mughlai Biriyanies, Pasandas, Kormas and Pulao are so enticing and yummy that people usually end up licking their fingers. Mughlai food is very rich, its sauces consisting of curd, cream and crushed nuts like cashew. The biryani from the kitchens of the nawabs of Hyderabad, is a flavoured and spiced rice cooked with ghee and chicken or meat, and is a meal-in-a-dish eaten with raitha and salad. Aromatic spices and ghee make Mughlai food a very rich form of cuisine. Ragda is a popular Indian street food made with dried yellow peas. It is generally paired with potato patties for “ragda patties”. Potato is boiled and mashed with other spices to form into patties and either deep fried or shallow fried till light golden brown. It is generally served layered with green chutney and tamarind chutney. Wash and finely chop the cilantro and mint leaves. Cool the potatoes a bit and remove the peel. Break the potatoes into crumbles with help of hands and thoroughly mash the crumbled potatoes. In a mixing bowl, mix together potatoes, corn flour, ginger, green chiles, mint, cilantro, lemon juice and salt. Take a big lemon sized portion of the potato mixture and form into ball and lightly flatten with help of hands. Heat a flat pan on medium heat, grease the pan with little oil. Place the patties on the pan and drizzle little oil on each one. Fry the potato patties on both sides till light golden brown on both sides. In a serving plate, place the potato patties, pour ragda over them. Garnish with cilantro and onion and layer it with green and tamarind chutney. Notes: You can store patties, ragda and chutneys in refrigerator and assemble when necessary. Suggestions: For more gravy, add more ragda to the plate. Add garlic chutney for spice. Variations: You can also add boiled potato to the radga. You can also garnish ragda patties with sev. Patties also be made with peas, corn, paneer, arvi, mixed vegetables etc..
Other Names: Ragda Patties, Ragda Patis. Farm fresh, Methi and Matar, are available in abundance in our Rythu bazaar (Farmer’s Market) at reasonable prices. 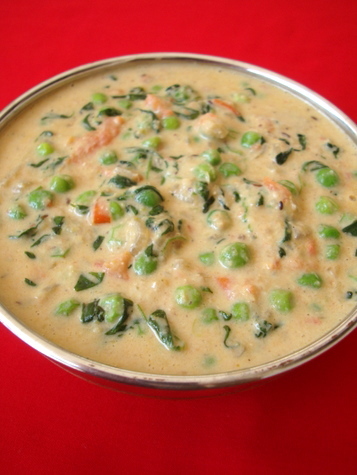 The plump green peas and methi make a great combination with the rich familiar flavor of fresh cream that elevates this flavorful, creamy curry of North Indian origin. Black pepper and green chillis lend a savory note to this otherwise mildly sweet tasting curry that is modest in its appearance. A recipe that can be made ahead and works great for a get together or party. Makes for a good side with phulkas, rotis and Naan. Add big pinch salt+big pinch sugar to the methi leaves along with half a cup of water and let it rest for 15 mts. Squeeze water from methi and keep aside. Heat 2 tsps of oil in a vessel, add the methi leaves and saute of low to medium flame for 4 mts. 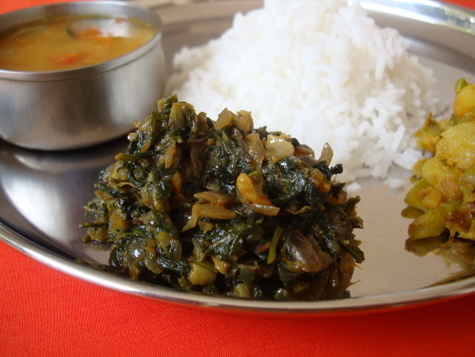 Turn off heat and remove the methi leaves and keep aside. In the same vessel, add the remaining oil, add the cumin seeds and let them splutter. Add the chopped onions and saute till the onions turn transparent. Add the ground paste and saute for 5 mts. Add pepper pwd and combine. Add the chopped tomatoes and cook for 4 mts. 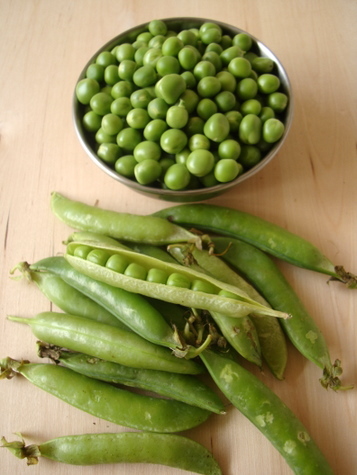 Add the boiled green peas and methi leaves saute for a mt. Add cashew nut and poppy seeds paste and and cook for 2 mts on medium flame. Reduce flame, add milk and cook on simmer for another 5-6 mts till the gravy thickens, stirring on a constant basis. Add garam masala pwd and salt and combine well. Finally, add malai and combine well and turn off heat. Serve hot with rotis, paranthas or naan. March 8th is International Women’s Day. To honor this occasion, Indus Ladies, a women’s forum, is conducting a contest focusing on various women development activities. The contest which is open till Feb 25th is open to bloggers and non-bloggers. Do visit Indus Ladies forum for more details and rules for participation. This is a simple and easy bread toast prepared with gram flour and yogurt. Besan and yogurt are mixed together along with crushed roasted peanuts and carsom seeds. This mixture is used as a bread spread and then the bread is toasted on a flat pan on both sides till its golden brown in color. Makes: 4 Besan Bread Toasts. Grind the roasted peanuts into coarse powder using a spice grinder. In a mixing bowl, mix together gram flour, peanuts powder, yogurt, red chili powder, ajwain, cilantro and salt into smooth thick paste without any lumps. Don’t add water. Heat a flat pan on medium high heat, apply a tsp of oil to the pan. Spread a thick layer of the prepared besan mixture on one side of the bread slice with help of a spoon. Carefully place the bread slice on the hot pan and fry it until its light golden in color. Just before turning the bread slice on the other side, apply a thick layer of the besan mixture on the side. Fry the other side of the bread slice until its light golden in color. Remove the toasted bread onto a serving plate. Repeat the same with remaining bread slices or if you have space on the pan, place couple of them at a time. Serve gram flour bread toast immediately along with a chutney or pickle of your choice. Notes: Make sure bread slices are toasted well. Suggestions: If the gram flour mixture is too loose, add more gram flour and mix well. If the gram flour mixture is too thick, stir in more yogurt. Add more red chile powder for heat or serve the toasted bread with a spicy chutney. Variations: You can also throw in some mixed herbs into the mixture. You can also toast the bread a little before applying the gram flour mixture. Other Names: Gram Flour Bread Toast, Besan Bread Toast, Indian Style Bread Toast. guest hosted by Siri, event by Corn and tofu pulao, a superfast pulao to enjoy either for lunch or for dinner prepared with sweet corn kernels and tofu marinated with red chilly powder, garam masala powder, fennel seed powder,cumin powder and salt with some oil, cooked for few minutes in microwave oven finally cooked along with sweet corn kernels and already cooked rice...This pulao is really quick to prepare even with some leftover rice also, this corn and tofu pulao suits terribly for lunch box menu and corn gives a crunchiness to this pulao while tofu turns this pulao more delicious and yummy, u can also prepare this same dish with paneer cubes or soyabean nuggets to give a change instead of making out this dish with tofus..Then coming to the kurma, both pulao and kurma works out wonder and together we had a fantastic, filling, healthy and guilt free lunch..This kurma is prepared with a masala prepared with poppyseeds, fennel seeds grounded along with tomatoes,yogurt and coriander powder and its totally coconut free, a delicious kurma for everyone specially for dieting peoples and diabetic peoples to enjoy without any guilt...This kurma can also suits very well with rotis, parathas and also suits prefectly for simple breakfast dishes like idlies or dosas...Both this dishes goes directly to Pari's Combo Event, Siri's JFI-FennelIndira.. Try this unusual flat bread when you are inundated with Zucchinis in the supermarkets or backyard gardens. 1. Mix all the ingredients except water and oil. Try to knead using the moisture from zucchini first and then add water gingerly to make a dough. Add 1 tsp oil and knead some more till the dough does not stick to your hand. Cover and keep aside for 10 minutes. 2. Roll into thin flat breads/theplas. Roast on a hot tawa/pan/griddle adding oil as needed. Roast on both the sides till brown spots appear. 3. 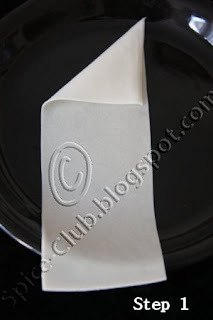 Keep covered in a clean cotton kitchen napkin or aluminum foil. Think back on your life to the people you've most looked up to. For most of us, I am sure, it is not people who are rich and successful. Instead, most likely, it is those who always did exactly what they loved to do, even if they didn't make a lot of money doing it, or weren't considered successful by the usual parameters. The people I envy are the young man who left a well-paid software job in the United States to start and run a school for poor children in rural India. The woman who runs a mobile veterinary clinic in an Indian city that spays and neuters stray dogs and vaccinates them for rabies. The couple who left powerful careers in New York City to retreat to a simple life in rural America where they grow their own food, live without most material trappings, and yet have lives that are blissfully rich and meaningful. Sure, money and a fulfilling career have their rewards and can be the means by which to get to your goals, but setting limits in your pursuit of success, as the rest of the world defines it, is more important. I am probably not a great person to advise people on reaching goals, but I do know the importance of keeping your dreams in sight because, for a while,I let mine slip away in pursuit of a better paycheck. I've been very lucky. I've had interesting jobs: I've worked for newspapers in three countries, I've interviewed governors, members of Congress, movie stars, music stars, and even a First Lady. I've traveled extensively and learned things I'd never have learned otherwise: things I might never use again, but which I am glad to know nonetheless. But before I started on my latest job where I work on issues close to my heart and interests, I spent nearly four years in the most boring newsroom, writing about education policy and working under an editor I did not respect. I thought I wanted the job because it paid a little better than the more interesting jobs I'd had before. Yet, when I look back on those four years now, all I can see are lost opportunities to do something I truly valued, and work with people I really cared about. The better paycheck was by no means a better trade. So here's the point of this post: try not to let the pressures of day-to-day living take you off-course from pursuing what makes you truly, deeply, incandescently happy. For some of you it could be being a good mom and homemaker. For others, it could be travel, or cooking great food that people dream of eating. Writing a novel. Writing a diary. Helping orphans in Africa. World peace. Gardening. No dream is small or insignificant, especially if it's yours. Dream it, and then do it. And try not to get sidetracked. Need more zen? Head on over to Zengirl's blog, Heart and Mind, where she shares great tips on topics like celebrating holidays meaningfully and simply, reconnecting with your community, and making small changes to improve the quality of your life. 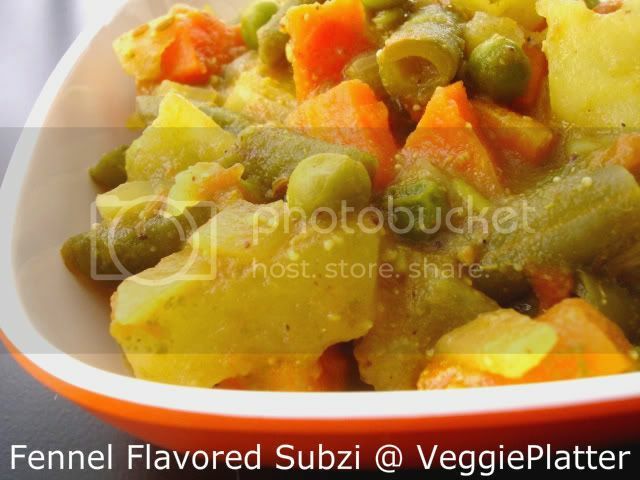 And now for today's recipe, a simple one -- in keeping with the theme of this post-- that's rich with the wonderful flavors of a few everyday vegetables. I worked off a recipe I found in a Vimla Patil cookbook that I've treasured for many years now. 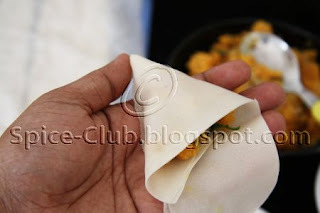 Makai Patties, or corn patties, are a popular street food in some parts of India. While these patties would often be eaten with chutney or ketchup, Patil also included a recipe for a sauce made with tomato and ketchup and spring onions/scallions that sounded so delicious, it seemed worth my while to go the extra mile and make it. So here we go, a quick but super-delicious recipe that's wonderful for a snack or even a light dinner. Place all the ingredients in a food processor and process just until you have a mixture that holds together when you pick up a piece and form a ball. Don't overprocess because you don't want a paste-- you should still have some texture from the corn and the scallions. Smear or spray some oil over a cast-iron or non-stick skillet. Heat. Place as many patties as you can without crowding the skillet, and cook on each side until quite brown and crusty. Add the spring onions and saute until they start to brown. Add the tomato puree and ketchup and cook until the mixture starts to turn darker. Add chilli powder and salt to taste. Turn off heat. Serve with the Makai Patties. Samosas doesn't need a bang introduction. It is symbolized as Indian food in kids educational Arthur's game in US. So what even your pre-school kid have a knowledge of samosa. A crispy pastry snack filled with a spicy or non-spicy potato in triangle shape. Very popular street snacks in India, could be served as a light meal along with garbanzo beans curry, a simple green chutney, sweet chutney or even a dash of ketchup! The process of making the samosa from scratch is bit long ! The spring roll wrapper is a short cut and the outer layer is very crisp and very opt to baked version. This one is purely semi-homemade. Don't be intimated seeing all the steps! Heat the oil in a pan. Sauté the onion until translucent, add the mashed potato, all the spices powders, salt and add 1/4 cup of water. The potato mixture will thicken very quickly, sprinkle the coriander , garam masala and mix well and switch off the stove. Garnish with cilantro leaves. Let it cool completely before stuffing in wrap. How to make Maida paste? Mix the water in maida and make sure there is no lumps. The mixture can be watery. No matter. 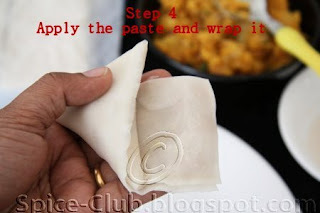 How to wrap it/ form samosa? 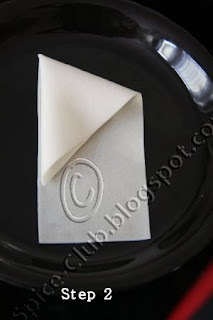 Thaw the spring roll wrapper for 30 minutes at room temperature. Now cut the wrapper into 3 equal parts. Cover with wet kitchen towel until ready to use. Look/Refer the diagram shown below. I am not too good to make the diagram but hope it will help someone. It will be a cone shape (packet) . Hold the shape in your left hand and take a spoon full of potato mixuture. 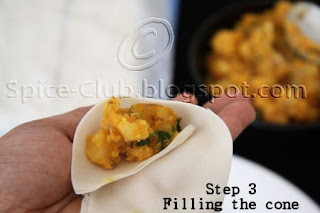 Squeeze the cone slightly with your fingers, so the potato spread evenly. At this point, spread the AP+water (liquid mixture paste) at the rest of wrap. keep the seam side down , cover with wet towel or you can freeze at this level. while wrapping all the 3 corners , you should not have a hole (gap) make sure while wrapping, if there is gap, oil will flow inside the potato mixture! Handle with caution the wrap it may tear. Cover all the time with wet cloth! Oil enough to deep fry. Oil should be hot enough when you drop the samosas, otherwise they will be soggy. Once dropped reduce to medium heat. Fry until they turn golden brown, drain in paper towel. Preheat the oven at 375 degree and arrange the samosas in baking sheet, Spray oil and bake approx 35 min, try to turn the other side in between the baking time! Can of rasgullas: contains 20 pieces. Bring to boil milk+ evaporated milk together. Add the sugar and cardamom. Let it cool .